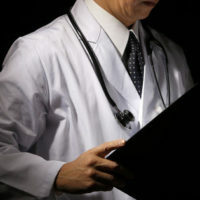 Generally, medical professionals, when presented with symptoms, will conduct tests to get to the root cause. Further, there is an assumption, by the patient, that the professional will conduct every test possible, and, in most cases, the professional will conduct a wide variety of tests. Armed with the knowledge that comes with diagnostic testing, there is a trust in the professional that he/she will provide a proper and accurate diagnosis. When this does not happen, and the professional fails to diagnose a condition, it may be time to contact a medical malpractice attorney. Recently, a Miami-area woman won a medical malpractice lawsuit against a rheumatologist who failed to properly diagnose her vasculitis. As a result, by failing to administer the proper medication and delaying her transfer to a facility who could handle her situation, the woman’s extremities were gangrenous, requiring amputation. A discussion of the elements necessary to prove that a medical professional committed malpractice by failing to properly diagnose a patient’s condition will follow below. Generally, the purpose of medical malpractice laws is to make certain that only competent medical care is provided from a medical professional to a patient. Included within the purview of competent medical care is providing an accurate diagnosis of any condition affecting the patient, and to develop a treatment plan based on this diagnosis. Failure to do so may subject the medical professional to liability for medical malpractice, and allow an affected patient to receive just compensation for any harm caused by this failure. harm suffered as a result of the negligence. This element can be shown simply by evidence that a medical professional examined a patient, and provided treatment. Although it can be used to support the existence of a relationship, no written agreement is typically necessary, nor is a payment or a promise to pay. Generally, a medical professional will be deemed to have acted negligently when he/she fails to provide the standard of care that is generally accepted as the standard of care that reasonably competent medical professionals would have provided in similar circumstances. Accordingly, a patient will most likely have medical professional with a similar background and experience testify that the other professional did not act pursuant to the proper standard of care. This is referred to as expert testimony, and, in this situation, the medical professional will provide his/her opinion as to what a reasonably competent medical professional would have done in a similar circumstance, as well as how the defendant did not do so. Finally, to win compensation, a patient must show that the negligence led to harm, which includes pain and suffering as well as financial issues (such as medical bills and/or loss of earnings). This is the most crucial issue in a medical malpractice matter, as a mere showing that the medical professional was negligent will not provide compensation to the patient unless the patient can also show that the negligence caused the patient harm. As an example, in the story cited above, it was specifically due to the rheumatologist’s delay that gangrene infected the patient; thus, she was able to show that her harm was, in fact, caused by the medical professional. Patients should be able to trust their medical professionals and assume that any diagnosis will be accurate and complete. If you or a loved one experienced an injury as a result of a failure of the medical professional to properly diagnose a condition, contact the Miami law firm of Pita Weber Del Prado to discuss your situation. We have the experience and resources to build a strong case to get you the compensation you deserve. Contact our Miami office today for an initial consultation.